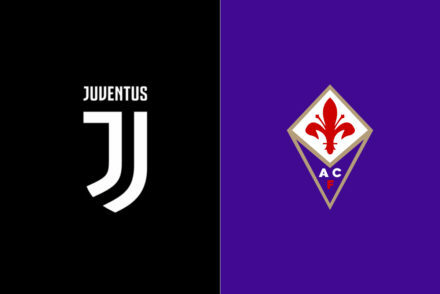 Serie A is finally back, and so is Juventus. Dive back in with out first preview and scouting report of the season. As per usual, the preview is written by David Tenenbaum while the Scouting Report is written by Enrico Passarella. 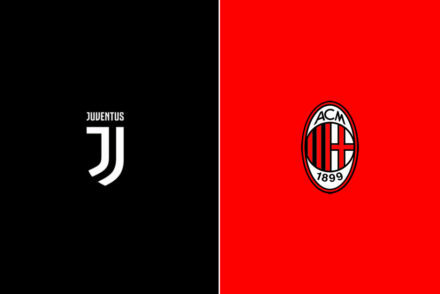 Serie A is back which means that the reigning three time Serie A champions are back. Juve have had a wild summer, and recently it seemed Juve may have a rough start to the season between injured players, suspended player(s) – it’s just Giorgio Chiellini – and a bout of the flu that went around the team affecting both Fernando Llorente and Max Allegri, and presumably others. It will take more than a flu to bring down Max Allegri, though. Indeed, Allegri now begins his initial season with Juventus, and will no doubt be heavily motivated to prove the doubters and haters wrong. 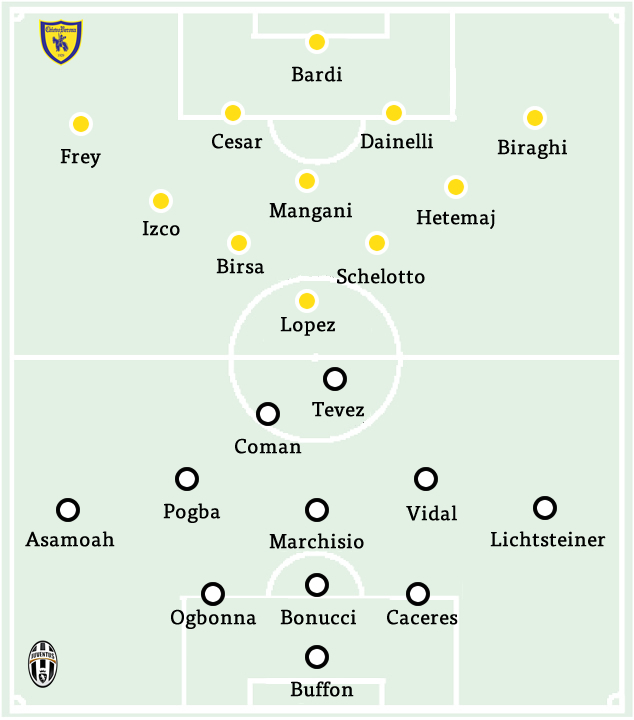 It has been reported by TuttoJuve that Allegri is likely to use a 3-5-2 in this initial match. I predicted that this may be the case, as Allegri will not want to risk a poor result in the opener and should instead use the tried and true, if very unromantic, 3-5-2. That said this 3-5-2 won’t be identical to Antonio Conte’s, both in style and personnel. For example, in defense while we will see Gianluigi Buffon and Leo Bonucci starting in their traditional roles, we will also see Angelo Ogbonna and Martin Caceres slotting in for Andrea Barzagli and Giorgio Chiellini. However the surprises mostly end there. 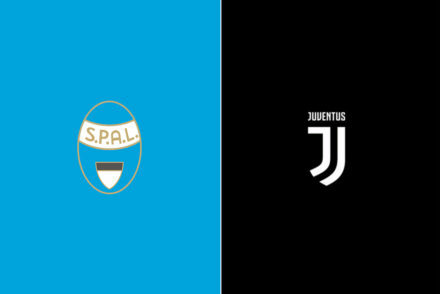 Stephan Lichtsteiner and Kwadwo Asamoah are slotted in for the start on the right and left, and in midfield we will see Paul Pogba, Arturo Vidal, and Claudio Marchisio. Andrea Pirlo was recently sidelined for, reportedly, about a month with a hip injury. Marchisio was a pretty good deputy for Pirlo last season, so I am not too concerned about Pirlo’s injury. Finally up top Carlos Tevez will start but its unclear who his striking partner will be. Kingsley Coman has been reported as the favorite to start there – which begs the question, will he play as more of a shadow striker or false nine, or an out and out second striker? – but some reports have said Roberto Pereyra could – but probably won’t – get the nod. Juventus lost only once while facing Chievo in Verona, but the team now coached by Eugenio Corini has always put up a good fight. 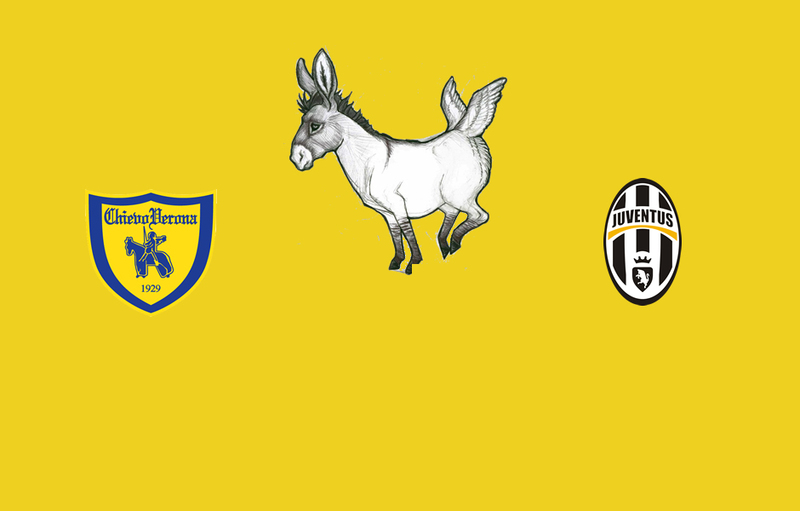 The score is eight Juve wins, three draws and one defeat. Uncharacteristically, it has been a summer of changes at Chievo: the long-time sporting director Giovanni Sartori left at the beginning of July. Chievo had already completed a big chunk of their reinforcement campaign at that point, but his absence will surely be felt once the face some adversities later in the season. They have lost three cornerstones of the team: Luca Rigoni, Cyril Thereau and Boukary Drame. To replace them, they picked quantity over quality. Cristiano Biraghi and Edimar Curitiba Fraga will fill the void at left-back; Mariano Izco, Thomas Mangani and Isaac Cofie have bolstered the midfield; Valter Birsa, Ruben Motta, Maxi Lopez and Riccardo Meggiorni will provide the goals and the creativity. There was a lot of turnover in the summer and the group will need some time to gel. Corini has a very versatile roster at his disposal. He seemed set to continue alternating 4-3-1-2 and 3-5-2 depending on the opponents, but the arrivals of Ezequiel Schelotto (who is at his best in 4-4-2 and 4-3-3) and Ruben Botta mixed things up. Corini has the tools to forge whatever tactic he wants, but this process will likely take some time and in the debut we’ll probably see the same old gritty and boring Chievo. Their last official match (a loss against Pescara in Coppa Italia), suggest that the starting scheme will be 4-3-1-2. The newcomers Bardi, Gamberini, Biraghi, Izco, Birsa and Maxi Lopez are set to start. With so many new faces, chemistry could be an issue and they might not be as organized as they have always been with Corini at the helm. Juventus should take advantage of this aspect. Since it’s the first game, it’s normal that there are many battles for the starting spot as it’s not clear what tactical direction the coach will take and the pecking order has not been set yet. Cesar is challenging Gamberini to start at CB, while Biraghi is favorite over Edimar for the left flank. Radovanovic or Mangani could play as pivot, Hetemaj could take Birsa’s spot behing the striker, should Corini opt for a more muscular midfield. Maxi Lopez faces the competition from Meggiorini and even from the latest newcomers from Inter. Even if he is probably set to leave, Bellomo is still on the roster and he could be a valuable weapon either at DLP or CAM. The debut is always a particular game: teammates don’t really know each other yet, there are new coaches with new ideas, unknown newcomers from abroad can make a sudden and surprising impact. 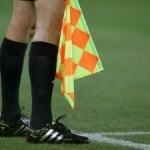 It’s a match that must not be underestimated even if on paper Chievo Verona is not the toughest of opponents.